Chalk it up to my over-enthusiasm. When I first brainstormed about all the possible use cases for XRP, I wrote down all possible use cases for an immutable distributed ledger, which is what the XRP Ledger can provide along with the crypto-currency XRP. This approach was kind of like saying "what are all the things that money can be used for if it's also a place where you can permanently write information?" And the resulting list was very long indeed. So let's just focus in on one, and see how big "cross-border payments" and "value transfer across borders" is. Investopedia acknowledges Ripple as one of the alternatives to SWIFT. 4 XRP – the crypto-currency – in this scenario would be used for account activation, and most likely as a no-counter-party risk bridge currency. The amounts of XRP utilized for these purposes would be massive. The key takeaway from his comment is that while XRP can support all of those “other” use cases that crypto-currency is used for, Ripple is leaving it to others within the crypto-currency space to decide for themselves the benefits of using a crypto-currency that can do the incredible things that XRP can do. 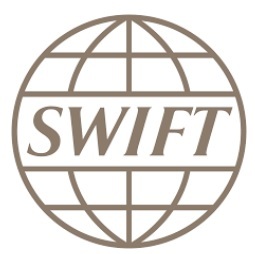 They are instead focused squarely on SWIFT’s core function. Even if only a sliver of SWIFT’s market share goes to Ripple – and it looks like that is about to happen – XRP could be utilized by the billions.